Recently the Bullvine wrote an article, “Is Down Under Going Under?” which initiated an ongoing exchange of emails between Murray Hunt and Dianna Malcolm. Despite her happiness with the “positive messages regarding our sale”, Dianna was somewhat revved up. “Your blog’s timing was just appalling in terms of our sale marketing. The story was fair, but we had our balls to the wall and we were trying to be so positive for ourselves and our courageous co-vendors.” With a little coaxing on our part, Dianna agreed to give us a more fully rounded picture of the situation. So settle in for a trip down under to the State of Victoria, where Dianna and husband Dean keep at least five business growing. 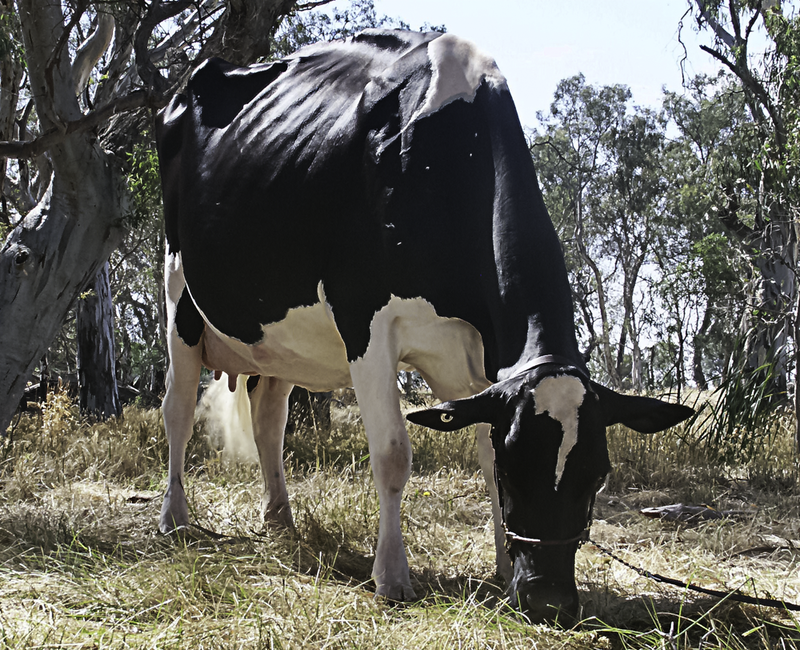 It numbers even more when you include their commitment to encouraging the young, the dedicated and even the discouraged dairymen and women to hang on to hope in these crazy times for the Australian dairy business. 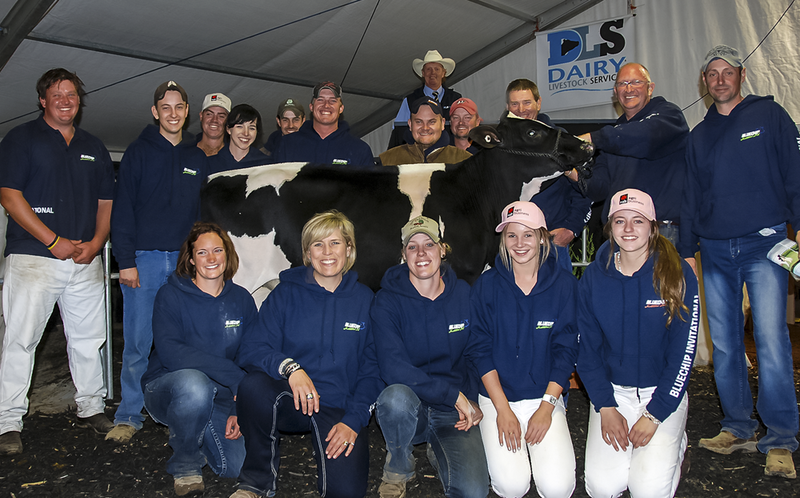 When faced with adversity in the dairy business, there are many who would scale back. 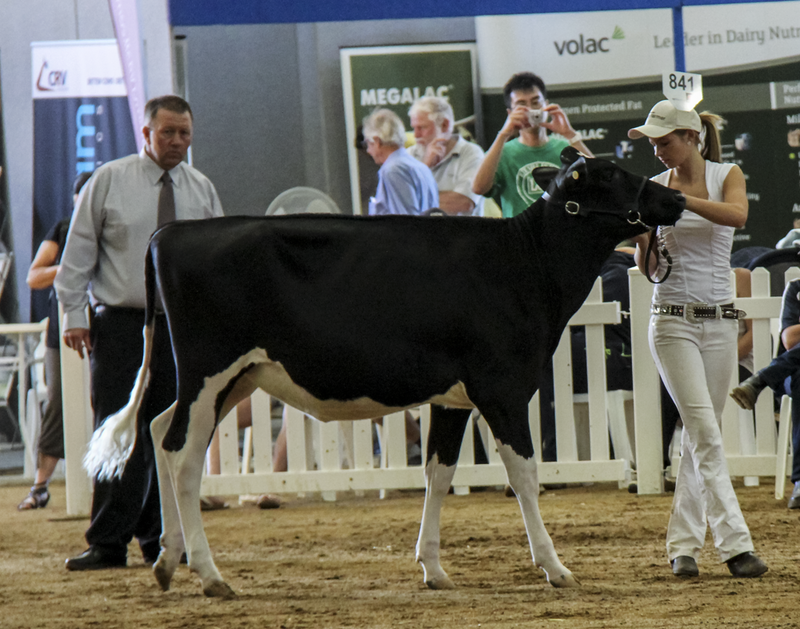 Not so for Dean and Dianna Malcolm, who were born into dairy families and inherit their work ethic and, probably their tenacity, from their parents. 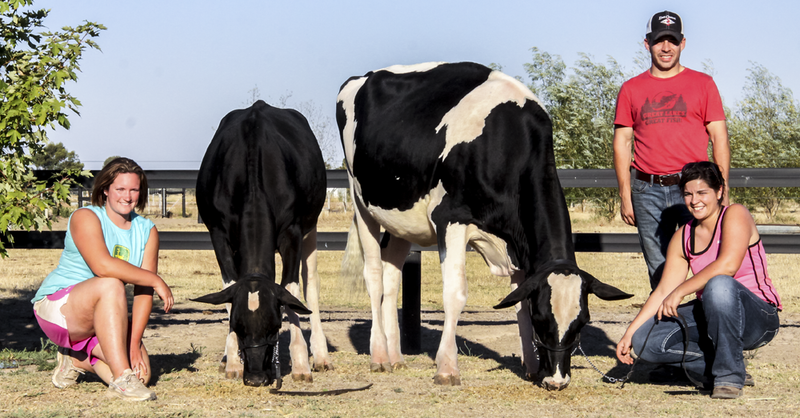 At the present time, they have no less than five businesses that grew out of their shared expertise: Crazy Cow in Print and website; Public Relations; Bluechip Genetics; Extreme Genetics and Cattle Photography. These are their offspring. “We were unable to have a family, so we have instead put our energy into the business.” And what considerable energy that is. Indeed the Malcolms continually widen their circle as they polish every aspect of their passion for dairying. “We do push each other and ourselves to be the best we can be.” says Dean referring to the successes they have already measured. 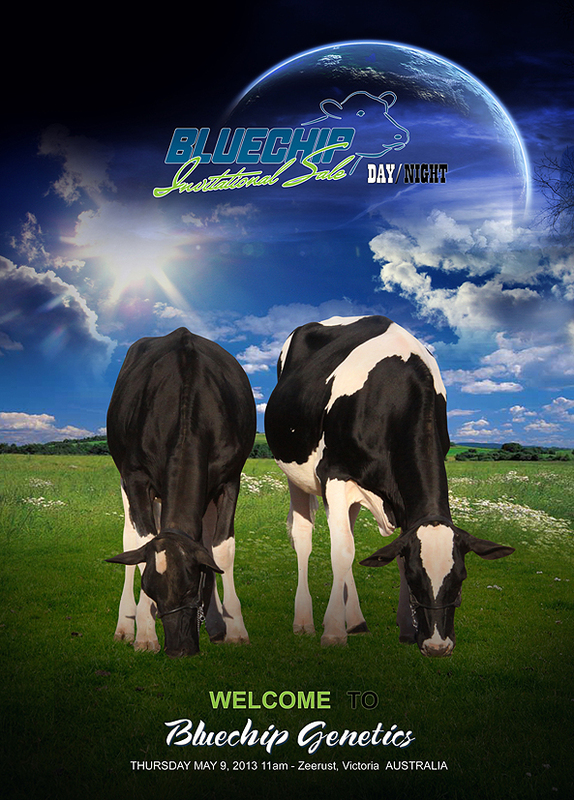 “We started Bluechip Genetics from the ground up in 2006. The farm comprises 225 acres, milking 125 cows averaging over 10,000 litres at a 4.1% fat and a 3.3% protein. We have 125 heifers (40 bulls to be sold as herd sires) and 50 Angus cattle, which are used as recips. We are honoured to have partnerships with Mike Deaver, Mike and Julie Duckett, Ferme Blondin and St Jacobs/Tim Abbott, which has been exciting. 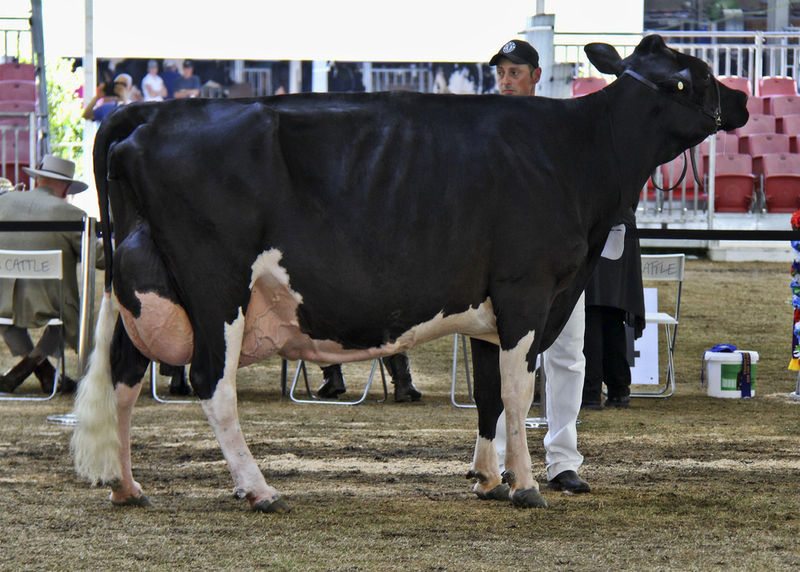 We also have a number of awesome Australian partners and Dean and Jo Geddes, from Tahora in NZ.” They stand poppy-tall in the showring too where they have been Premier Breeder and Premier Exhibitor for the last three successive years at the fourth biggest show in the world, International Dairy Week (IDW). 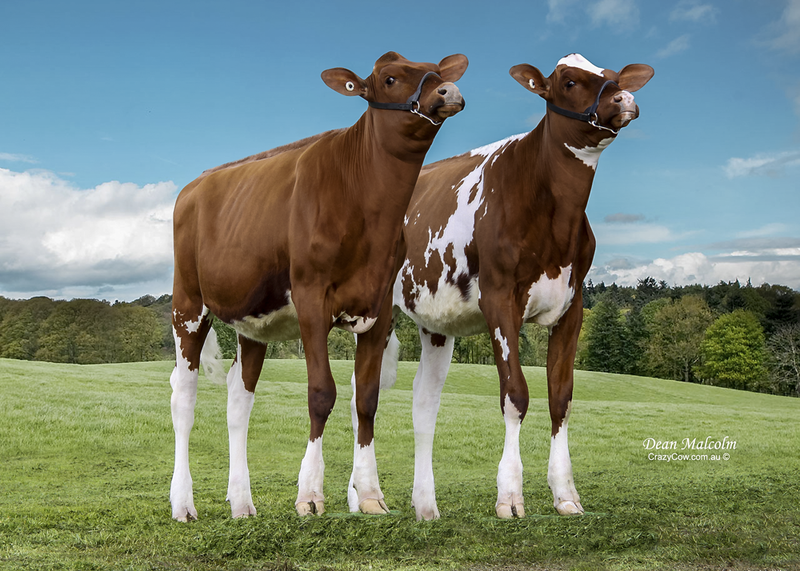 The Malcolms have complimentary roles with the cattle too “I rear the calves and Dean takes my babies from eight months of age to complete their development and plan their careers.” And then promotion clicks in: both showing and picturing. 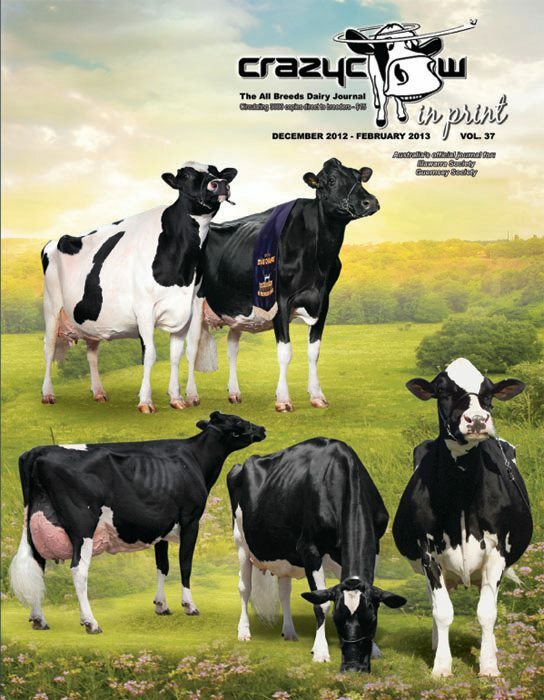 “We believe print advertising still plays a huge part in the dairy industry. But, in particular, Facebook is becoming massive and we try to manage a balance between the social media and the various in print mediums. 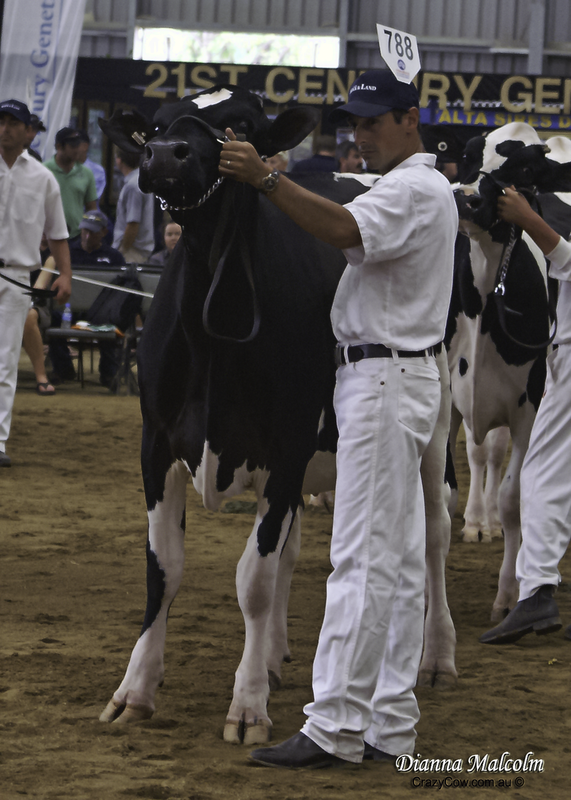 We have also pursued video work, which has been distributed through social media, and that has been incredibly successful.” Dean sums up their marketing philosophy: “We also work extremely hard to build stronger and deeper cow families in terms of show ring success, picturing, classification and production.” Is it becoming clearer what triggered their concern over worldwide attention to the Aussie dairying troubles? With a quick sigh of relief due to their well-earned success, Dean and Dianna readily admit that there are still many challenges facing them. What you may ask could ever faze these two. Dianna answers with heat. 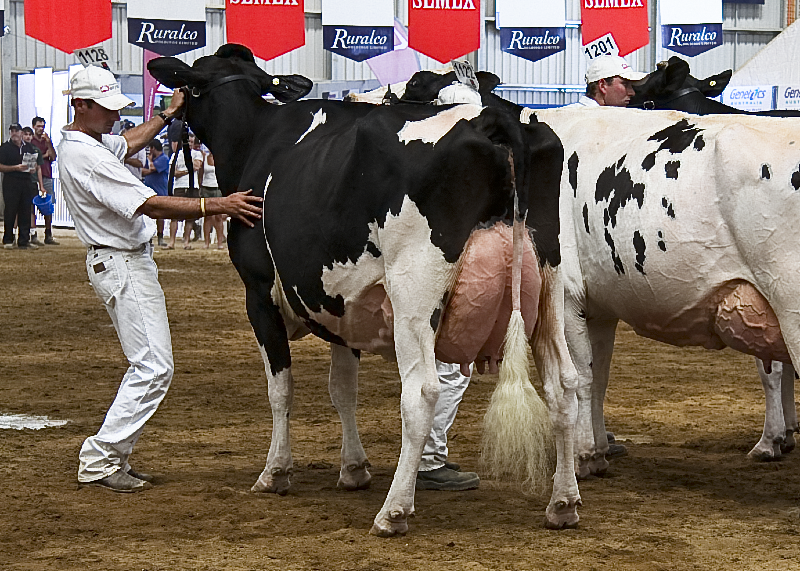 “ Milk price!!! And our useless government!” She feels quite strongly about these two. “Strangely, that has hurt us more even than the droughts, the floods, the pestilence and the severe heat (animals aren’t housed indoors in Australia)… So that gives you some idea of what we face right now. We have never seen it so tough.” Dean looks forward with a grim prediction. “If small business and agriculture are not more respected by our governments, there will be no food. We love that saying: If you ate today, thank a farmer.” The picture isn’t pretty in fact they both describe it as “horrific.” “We have been pushed into working harder and harder, for less and less,” Dean said. “Without our passion we would have exited this industry long ago because we have the ability to make money in other lines of work. Someone must be making money from our product. The world needs more and more food, yet primary production (not just dairy) in Australia has been smashed. That goes for small business too. It is criminal really. No-one is educating the next generation about farming and they are getting more and more disconnected. It is incredibly disappointing and concerning. Milk price needs to lift significantly and immediately because when farmers make money, everyone makes money.” Dianna adds: “Sadly, farmers are so independent that achieving solidarity is no mean feat and that is what we all need to achieve change (in my opinion).” If only more opinions were so eloquently expressed and actively implemented but there is only so much time for these multi-faceted business entrepreneurs. It’s hard to picture with so much going on that the Malcolms declare that they don’t have a life. Dianna does give a clue to the management philosophy. “There are some very robust conversations in this house, but we have a common goal so we usually work it out without too much bloodshed.” We’re sure it is much more peace loving than that and she agrees. “The fact that we’re still married might be viewed as an accomplishment in this fast-moving world.” Of course they don’t have a life. They have five lives. Constant change (much of it unsettling) is unfortunately the current situation for dairying in many parts of the world. For these two Aussies we are grateful that they are sharing their passion and enthusiasm. 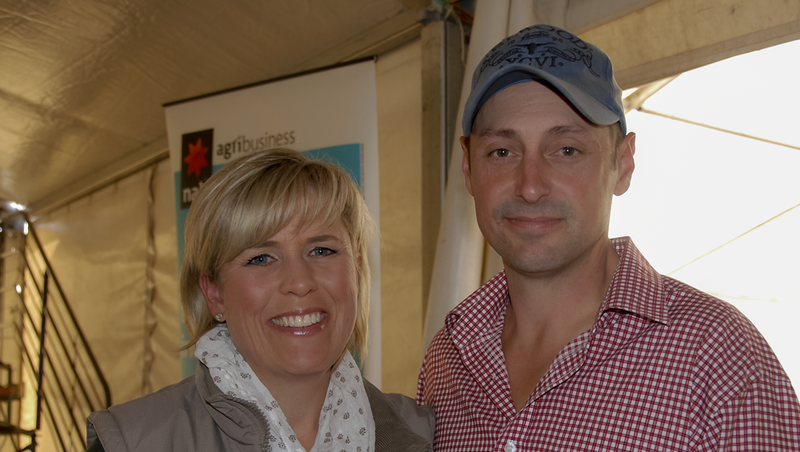 We wish Dean and Dianna Malcolm all the best as they continue to turn things up down under!